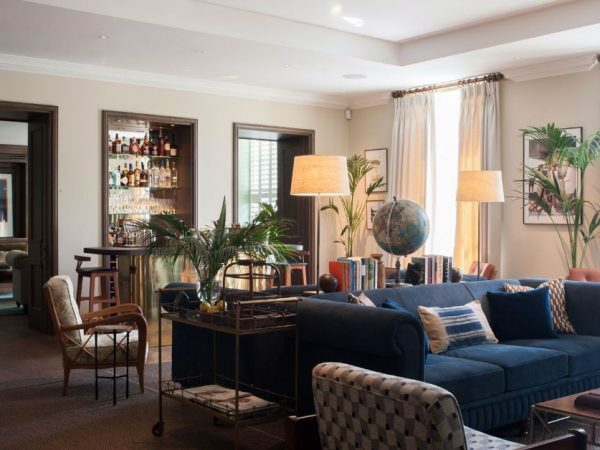 From the reign of Prince Albert to the rich rock n’ roll musical history of Ronnie Wood, the new South Kensington Club (SKC) in the heart of Kensington & Chelsea celebrated their Summer Party in June 2015. As I walked in, I felt transported to the Mediterranean surrounded by olive and palm trees, sharply dressed waiters with alfresco cocktails on the Café Terrace, cold pressed juices and homemade white truffle pizzas. The smart Chelsea set put on their floral flocks (as seen by the lovely Rosanna Falconer of Matthew Williamson) arm-in-arm with distinguished dandy Henry Conway amongst other smart heeled locals to the royal borough. 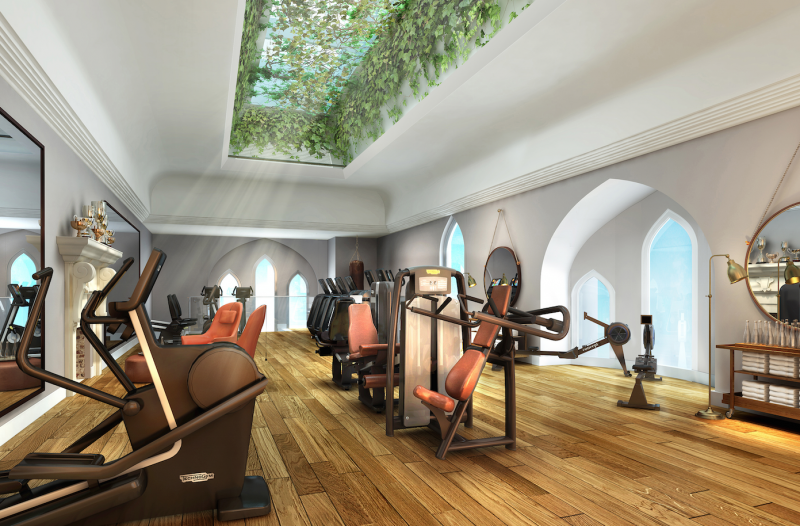 A peaceful haven of health, wellness and tranquillity, the South Kensington Club offers it all. From the warmth of the Tea Library with a selection of rare teas from Kerala to Nicaragua, to old fashioned whisky cocktails for a business social in the club room and cocktail bar, to a selection of healthy mind body and soul activities like Pilates and Yoga in the Gymnasium & Studios. The cuisine is inspired by founder Luca Del Bono’s passion for Sicily and the Aeolian Islands with simple fresh vegetables and fruits that is perfect for a healthy Mediterranean diet. 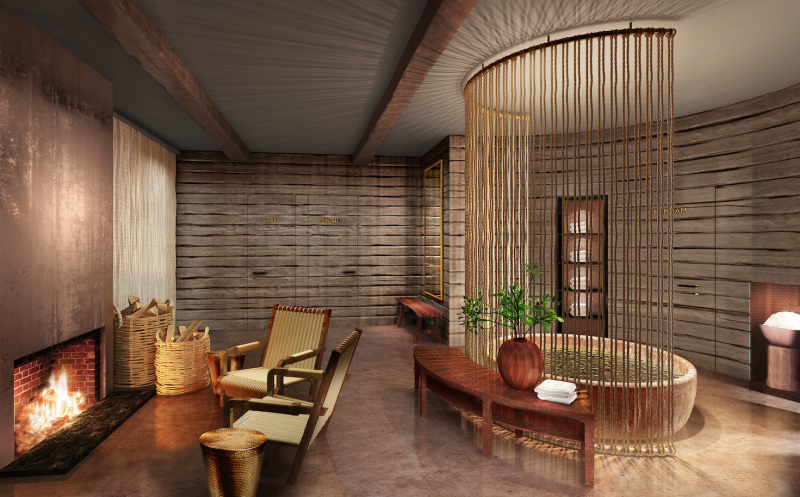 Originally owned by prestigious artist Francis Bacon, the SKC bathhouse is exquisitely built on natural materials of lava stone and wood. 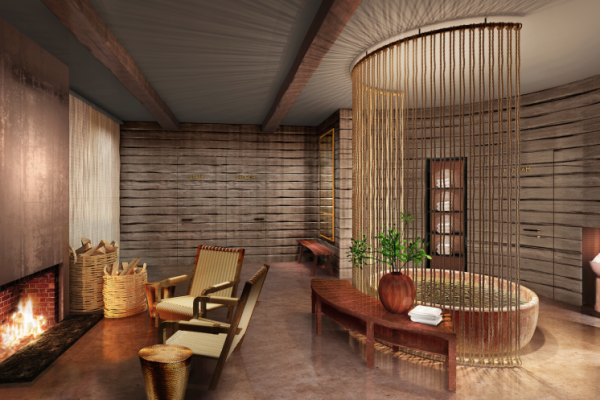 Inspired by the ancient traditions of Roman and Ottoman baths, a lava stone built Watsu is opening soon for deep relaxation, as well as a traditional Russian banya and Turkish hammam with plunge pool. SKC have even kept Ronnie Wood’s original loo in honour of the legend. 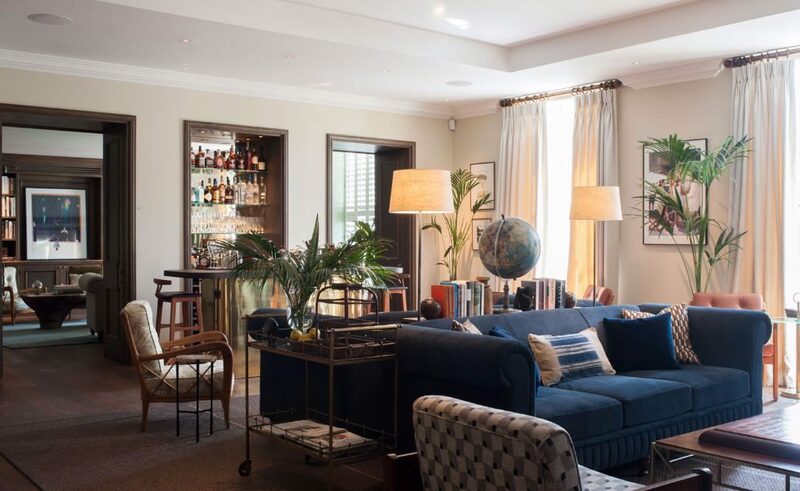 South Kensington Club brings worldwide wellness, simple Mediterranean cuisine, intellect, natural design and rich history together to create an oasis of calm and adventure all into one heartfelt place.